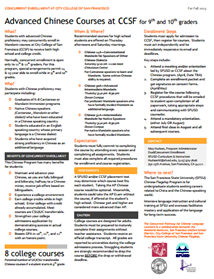 In Chinese language programs, there are no defined reading levels for materials, or adopted reading assessments. There are no tools, measures or scales that can assist Chinese language teachers in selecting literature/informational texts appropriate for their students and no standardized way to assess students’ reading proficiency. To build the foundation for early Chinese reading instruction by creating a lexiled diagnostic vocabulary instrument and assessments. With an interdisciplinary team of Chinese linguists, assessment and reading experts and experienced practitioners, we will develop the K-5 Chinese Readability Scale (CRS) using research-based principles of literacy, instrument validation and assessment principles. K-5 in-service Master Teachers from leading schools across the nation will be nominated to participate. These teachers will collaborate with the Project Team to define developmentally appropriate reading levels for students in K-5 Chinese language programs. Teachers will pilot the CRS and vocabulary assessment protocols in their classrooms. Student scores from the pilot will be used to attain technical qualities of reliability and validity. These levels will be tested in Startalk programs and participant schools and shared with the community to be used as a guideline for all types of Chinese language programs. The team will review the theoretical constructs of Chinese, early reading development, and alignment with ACTFL guidelines to design the K-5 CRS and begin developing assessments. The teachers will test the CRS in their classrooms using it to select appropriate texts and assessing their students’ reading levels. The teachers will collect and submit results to the project team for statistical analysis, reliability and validity testing. The Project Team will review data analysis, refine CRS, compile and organize the reading assessments developed. Teachers will document students’ literacy development and assessments and the selection/use of reading materials. The team will meet for 3 days in January at LMU to develop the K-5 CRS User Guide. This manual will show teachers how to use the CRS to level authentic reading material and to determine their students; reading levels. The K-5 Chinese Readability Scale will enable Chinese language teachers to use authentic, developmentally appropriate reading resources targeted on individual student’s reading proficiency levels enabling them to implement Chinese reading programs based on balanced literacy approaches. Selected Master Teachers will receive a $2400 stipend for their participation. Their travel and accommodation costs will be covered.